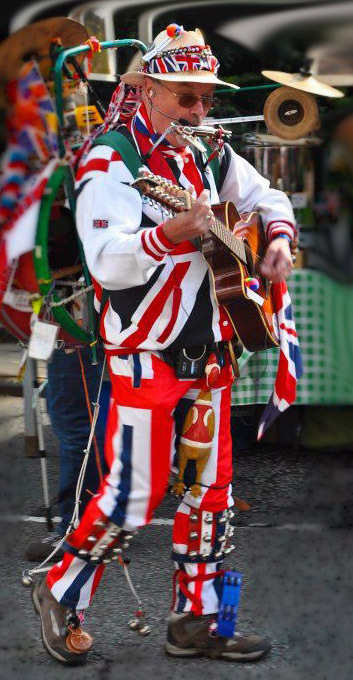 One man band faces the Christmas crunch. I just did a brochure mailing to one of the upscale towns close to me which has in the past supplied a significant percentage of my work and the higher ticket jobs. The printer was supposed to send 1000 brochures every week or two. Instead he mailed all 5500 at once. So I have been inundated with work ever since the mailing hit. On top of that, the newspaper ad hit. It had been previously booked and has always done well this time of year. I’m not complaining. Too much work is usually better that not enough work. It would have been nice to have some help – someone to answer the phone, meet clients who are dropping off or picking up a transfer job. And it’s not just been video and film transfers. I’m getting jobs to transfer slides, audio cassettes, vinyl LPs, photo restoration and more. Today was typical – two video machines, two film machines and a computer rendering – all needing something. Not bragging, but I managed to balance all those plates spinning at the same time. Of course everyone wants their transfer done before Christmas. One guy called, offered to pay extra. I accepted and managed to get his job done by putting a big job on hold for and working a little later. Well it’s the money season and I’m making hay while the sun shines. I’ve meticulously tracked every single customer so I can see exactly how much revenue is from the mailing, newspaper ads, the website and other miscellaneous sources. The mailing has not made a big profit so far, but it has brought in a lot of business. I’m pretty confident the mailing will pull for a long time since so many have said they were looking for a way to transfer their media. And made them pick up the phone. It will be interesting to look at the numbers 3 and 6 months from now. (Those number were better than expected. The mailing brought in more than 3 times its cost.) Granted, the oversized tri-fold brochure was expensive to print, but the postage was a bargain. I discovered a thing called EDDM – Every Door Direct Mail. This is a service the US Post Office offers. You can target your marketing mail audience by age, income, or household size. You can use the EDDM mapping tool to choose the ZIP Code and carrier route that will target your best possible customers. I choose every street in this town. The postage costs between 15.6 – 17.7 cents per piece. To learn more, check the link above or go visit a Post Office. I first learned about it from a printer. I wish all of you a warm and happy Holiday season.